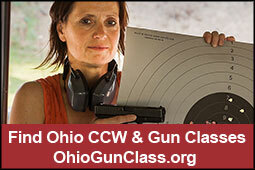 The Toledo Blade has written their latest editorial opposing concealed carry reform. While their rhetoric about the threat to public safety is not new, their theories about why the House and Senate leadership are allowing the issue to come up, despite saying it wasn't a priority, are interesting. As always, educated letters to the editor of the Blade may be emailed by >clicking here.